He will discuss how startups can unlock capital for their growth requirements. Borne out of a dissatisfaction with the available pool of investment options, fintech startup StashAway was set up by former ZALORA Group CEO Michele Ferrario as a sophisticated wealth management platform that could properly respond to the market gap. StashAway is a cost-efficient investment engine that performs comprehensive analysis of an individual's financial assets, investment time horizon and risk preferences with the goal of empowering users to manage their savings and hit their personal financial targets. But more than that, the startup requires no minimum balance meaning customers can invest as little as $1 or $100,000 once or every day. "Our approach allows any one to start investing and building their wealth. Experienced investors that manage significant portfolios will appreciate the sophistication of the investment framework, detailed in a white paper published on StashAway's website, and could take advantage of the very cost-efficient platform to manage the liquid part of their portfolio," Ferrario said in an earlier interview. Through the platform's proprietary investment strategy, Economic Regime-based Asset Allocation (ERAA), StashAway is also able to monitor economic trends and valuations to make informed management decisions for its clients. In its first year, StashAway was able to become the first digital wealth manager to receive a CMS license for Fund Management from the Monetary Authority of Singapore. Having raised around S$11m for its operations, the team has grown to a solid 30 people-team and is in final preparations to launch in its second market — Malaysia. 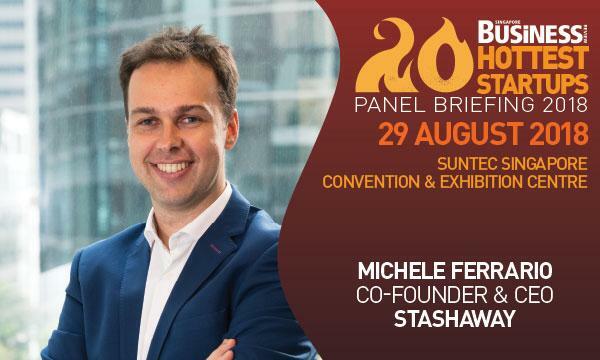 In an exclusive interview with Singapore Business Review, Michele outlines StashAway's corporate strengths and shares insights other startups can learn from his entrepreneurial journey as he takes part in SBR's Hottest Startups Panel Briefing 2018 as panel speaker. What are the positions that you've previously held that contributed to who you are as an entrepreneur today? My decision to start StashAway is a result of several previous experiences: I spent the first half of my career in and around financial services: first at McKinsey in Milan and New York, then as a private equity investor. I then completely switched, and I worked for 5 years at Rocket Internet, launching and scaling up companies built on the premise that technology can be used to improve customers' experience in many different areas. In my last role before StashAway, I was the Group CEO of ZALORA, and I was responsible to scale the e-commerce company in many areas of South East Asia. StashAway is the synthesis of these 2 parts: we use technology to help people build their wealth. I believe in people-centricity. Any business' success is dependent from its ability to engage and excite both its team and its customers. Everything else is a detail that matters only to the extent it helps becoming a great employer and delighting customers. Can you give us a glimpse of what you will talk about at the 20 Hottest Startups Panel Briefing 2018? At the 20 Hottest Startups Panel Briefing 2018, I'll be speaking at the ICO vs VC panel. I'll be sharing why so far we have decided to fund StashAway's growth with traditional capital raising, by focusing on selecting investors that could help us build a better product. I have to confess I am surprised by some of the ICOs that have happened and have been announced... I'll share more during the panel! 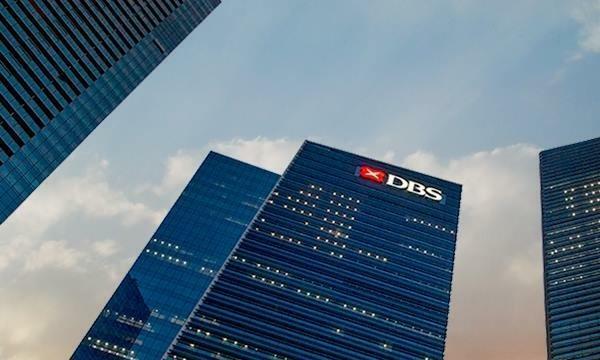 Singapore Business Review’s 20 Hottest Startups of 2018 Panel Briefing will be held in Suntec Singapore Convention & Exhibition Centre on 29 August. To know more about the event, click here.